By Stephen Pate – The promoters and organizers of the Shania Twain concert Saturday night have gone the extra mile to make the Shania Twain concert accessible for fans who live with a disability. 28,000 people are expected to attend the Labour Day weekend concert with about 1,000 parking spots near the Charlottetown’s new Event Grounds on Grafton and Water Streets. Shania Twain’s appearance on PEI is the last time she will perform outside of Las Vegas in 2014. This is relatively new for PEI having first-class accommodations for people with disabilities. A debt of thanks is owed to the promoters AEG Live, Donald K. Donald, and PEI 2014 who planned these features. There are two parking areas for people with disabilities, the CADC lot north of Grafton Street and the Friendly Pharmacy parking lot on Water Street. People with disabilities are given special tickets that entitle them and a guest to elevated seating near the stage for an awesome view. You need a legal disabled parking tag to use those 11 spots. 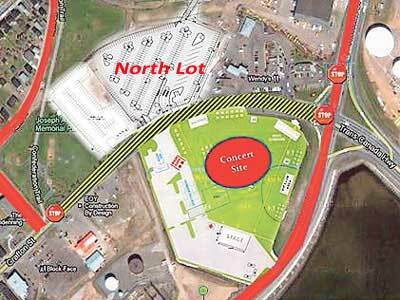 Additional parking with shuttle bus service will be available at the Water Street parking of the Friendly Pharmacy. Pat and The Elephant wheelchair vans will take people back and forth from the parking area to the Water Street entrance of the Charlottetown Event Grounds. To use the Friendly Pharmacy parking you need the special parking tag that is available from the Eastlink Centre if you have tickets for the accessible seating area. The accessible parking tags are professional and make a nice concert souvenir. An elevated seating area for people in wheelchairs and one companion has been built near the Water Street Entrance. You can also book Pat and The Elephant to pick you up and avoid the parking issue. 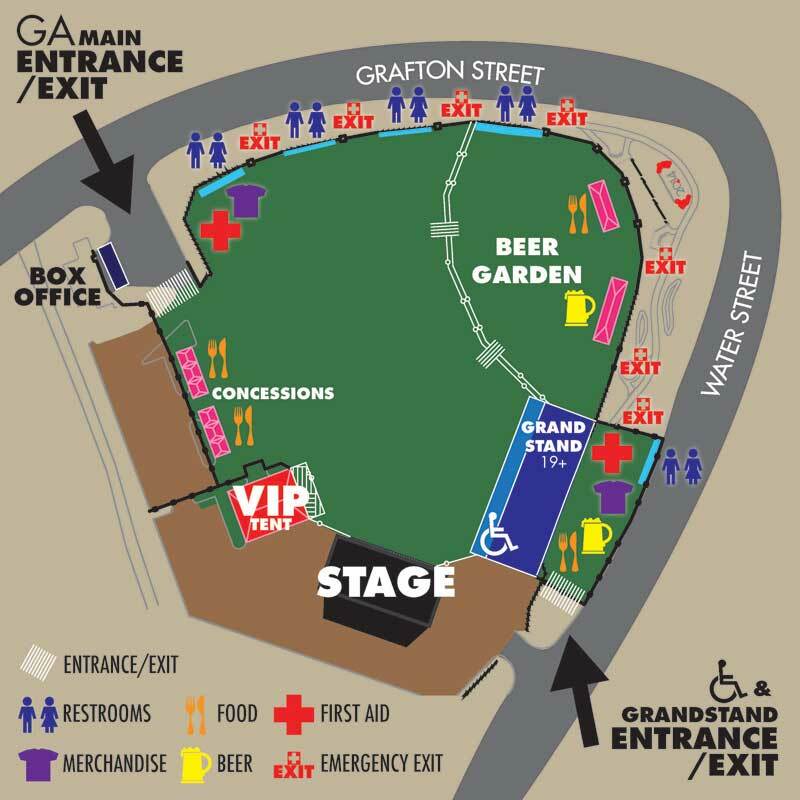 Whatever way you plan to attend, be ready for delays, be patient and follow the instructions of security staff. And enjoy the show. For all the FAQ’s about the concert click this link. Follow me on Twitter at @sdpate or on Facebook at NJN Network, OyeTimes and IMA News Buzz. You can also subscribe and receive notifications of new stories by email. Where Do “ken” And “barbie” Get Their Money From? Sarah Paulson And Holland Taylor: We Should All Be So Lucky!